We are a pediatric dental practice with caring, knowledgeable staff members who are specially trained to deal with the dental needs of children. 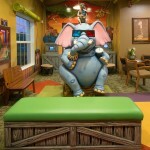 We know choosing the right doctor for your child is not an easy task. Hear what patients have to say about our doctors and staff to see why so many are choosing us for their dental home. “My kids were terrified going in for their first appointments but every single employee we encountered took time to reassure them and make it as comfortable as possible. 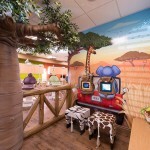 The gentle kid-inspired approach and fun safari decor is greatly appreciated and makes kids not only tolerate their visit, but actually enjoy it. I couldn't believe it when my kids ASKED to floss their teeth after getting home. Talk about influence! That is one powerful message that is being sent, and I'm happy my kids are on board with it.” – Kathleen V.
“As intimidating as the thought of pulling a tooth is for a 12 year old, Dr. Julie and her team take extraordinary care in easing the angst of their patients. Also as a parent, I never have to worry about what happens once my son goes "back" with them. We LOVE Dr. Julie and her team. ” – Gary S.
“My kids have used Dr Julie ever since we moved to Clermont. Wouldn't change for anything. Staff extremely nice. Dr Julie explains everything. My son, who is 8, actually looks forward to his visits.” – Susan R.
“My kids have been going here for years and have always had pleasant visits. The staff is very friendly, efficient and professional. 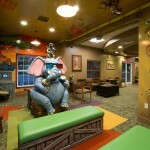 They make the kids feel comfortable and their office is very inviting.” – Dana S.
“Always a great experience. My girls love the dentist because of all the kind staff. 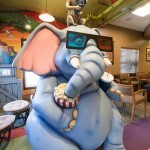 They really know how to make teeth cleaning fun. Dr Russo is great!” – Danielle F.
“The very warm and professional staff always make it a stress free visit. 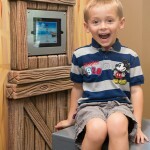 My children actually enjoy going to the dentist!” – Tina L.
Welcome, we look forward to meeting you! We would like to welcome you and your family to our office. We are a pediatric dental practice with experienced caring, knowledgeable staff members who are specially trained to deal with the dental needs of children. We have been in the local community for over 10 years and during that time thousands of families have trusted us to provide the very best dental care for their children. Please browse our website, take a look at our introduction video or browse around our office with our virtual tour. The American Academy of Pediatric Dentistry recommends that your child should see a pediatric dentist when his or her first tooth appears, or no later than his or her first birthday. It is also good to become an established patient and have a “dental home”, so that in the event of a dental emergency you will have someone to call. Dr. Julie Russo and Dr. Alexandra Jensen have undergone two years of additional dental training in order to provide the best care for your children. 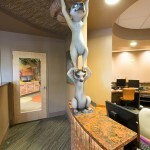 They are both dedicated to helping children become successful lifelong dental patients without fear. With our state-of-the-art office conveniently located in Clermont, Florida and we welcome patients from Orlando, Winter Garden, Ocoee, Groveland, Windermere, Apopka, Minneola and many other Central Florida locations. 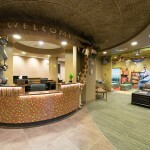 We have a fun safari themed office which engages children and puts them at ease as soon as they walk through the door. We encourage you to call our office and speak with one of our patient care coordinators to book an appointment so that we may become your child’s dental home. We tell our patients what we are doing, and do so in an honest, matter of fact way.